We have partnered with Mathway to offer a free online trigonometry calculator. An extensive list of other trigonometry tools is located below. As Khan Academy notes, trigonometry is “the study of the properties of triangles,” and is used in everything from astronomy to satellite systems to architecture and more. 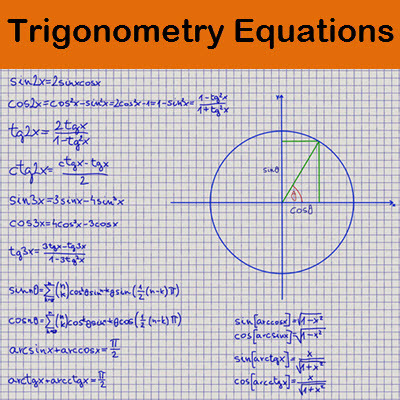 There are many resources available online to aid you in your study of trigonometry. Following is a collection of 158 trig calculators separated by skill type and level. EasyCalculation.com's Right Angle Triangle – Use the drop down menus to find either the angle, opposite side, hypotenuse side, or adjacent side using your known values. Includes tutorial information with a mnemonic device for remembering the formula. VisualTrig.com's Right Triangle (Includes visual display) – Familiarize yourself with right triangles by using the sliders to adjust the properties of the right triangle provided. Scalene and circle options are also available. PageTutor.com's Right Triangle Trig – Quick and easy to use, when you know two values, they can be used to find the triangle's other properties. CarbideDepot.com's Right Triangle – Quick and easy to use, just enter the values you know to find the triangle's unknown properties. CalculatorSoup.com's Triangle Theorem – Learn more about six triangle theorems and how to solve them using the provided tutorial information. 1728.org's Ultimate Triangle – Choose the triangle theorem you would like to use to find the properties of your triangle. Helpful diagrams and tutorial information explaining the theorems is provided. Had2Know.com's Side, Angle, and Area – Use either SAS, ASA, or SSS to find the properties of your triangle. TrianCal - interactive tool available in Spanish & English which solves for variables and allows users to share links to the generated triangle. GradeMathHelp.com's Triangle – Fun to use, just enter your known values on a triangle diagram. It provides detailed tutorial information explaining which theorem would be used to solve your triangle depending on the values provided. Math-Prof.com's Area of Triangle – Fun and easy to use, enter your known values directly on the triangle diagram. Then, the respective triangle theorem will be used to find your triangle's area. Algebra.com's SAS Triangle Solver – Quick and easy to use, the labeled triangle diagram can be used to learn more about the SAS triangle theorem. MathOpenRef.com's Interactive Area of a Triangle Diagram – Drag the designated point to change the properties of the triangle based on the SAS method. Learn more about the method with the provided tutorial information. CSGNetwork.com's Heron's Formula Triangle Area – Easy to use, enter the side lengths of your triangle to find its area. Some tutorial information about Heron's Formula is also included. Keisan.Casio.com's Heron's Formula – Heron's Formula and a triangle diagram is provided. Enter your side lengths to find the area. MathOpenRef.com's Heron's Formula Interactive Triangle – A neat way to experiment with the formula. Drag the dot and watch as the values adjust in the right-hand corner. OnlineMSchool.com's Heron's Formula – Learn more about Heron's Formula from the explanation and triangle diagram provided. MathIsFun.com's Heron's Formula – Follow the easy-to-understand instructions on how to use Heron's Formula to find the area of a triangle. Enter your side lengths on the triangle diagram to find the area. MathWarehouse.com's Heron's Formula – Use the tutorial information and step-by-step examples to strengthen your knowledge of Heron's Formula. As you enter your side lengths, the area of your triangle is instantly adjusted. KylesConverter.com's Triangle Area – Easy-to-understand tutorial information and chalkboard-style diagrams are provided. TutorVista.com's Heron's Formula – Quick and easy to use, follow the step-by-step examples given to learn more about the formula. Nap.st's Heron's Formula – Easy to use, just enter your side lengths to find the area. Calculator.Swiftutors.com's Heron's Formula – Take a look at the color-coded version of Heron's Formula to better understand each of its elements. Algebra.com's Heron's Formula Solver – Tutorial information explaining when and why to use Heron's formula is provided. A step-by-step explanation comes with the results. NCalculators.com's Heron's Triangle Area – Learn more about Heron's Formula from the provided tutorial information. A triangle diagram is also provided to help you better understand this method of finding a triangle's area. Calcverter.Blogspot.com's Heron's Triangle Area – Quick, easy to use, and provides a sample problem so that you can test your skills. EasyCalculation.com's Law of Sines – Read through the breakdown of equations that can be formed based on the Law of Sines. Then enter your known angles and sides to find the unknown values based on the Law of Sines. CalculatorSoup.com's Law of Sines – Use the provided labeled triangle diagram and tutorial information to better understand the Law of Sines and how it's used. Then, use the drop down menu to choose which properties you know and solve for the unknown values. MathPortal.org's Sine and Cosine Law – Check the boxes to indicate which sides or angles of your triangle are known. Click “Show Explanation” to find out how your problem was solved and to see whether the Law of Sines or the Law of Cosines was used to solve it. StudyStack.com's Solving Triangles – Enter your known values to find the unknown values and explain why either the Law of Sines or the Law of Cosines was used. HyperPhysics Law of SInes – Presented by Georgia State University's Department of Physics and Astronomy, learn more about the Law of Sines using the easy-to-understand tutorial information. MathOpenRef.com's Interactive Law of Sines Triangle – Drag any point of the triangle and watch as the values adjust in the right-hand corner based on the Law of Sines. An example with a step-by-step explanation and a “Things to Try” section are also provided. Chemical-Ecology.net's Law of Cosines and Sines Triangle – Enter your known values directly on the triangle diagram and then either the Law of Sines or the Law of Cosines will be used to find the unknown values. TutorVista.com's Law of Sines – Use the tutorial information and step-by-step examples provided to get a better understanding of the Law of Sines. RapidTables.com's Sine – Follow the instructions to use sine to solve the unknown values of your triangle. An Inverse Sine version is also offered. EasyCalculation.com's Law of Cosines – Use the drop down menu to select the side of your triangle you would like to solve for. Then enter your known values. The Law of Cosines is used to solve for the unknown side. CalculatorSoup.com's Law of Cosines – Learn more about the Law of Cosines from the provided tutorial information and triangle diagram. Select the side or angle you'd like to solve for using the drop down menu. TutorVista.com's Law of Cosines – Two options are provided. One uses the Law of Cosines to solve in the case of SAS and the other solves in the case of SSS. Follow the step-by-step examples to get a better understanding of when and how to use the Law of Cosines. HyperPhysics Law of Cosines -- Presented by Georgia State University's Department of Physics and Astronomy, learn more about the Law of Cosines using the easy-to-understand tutorial information. MathOpenRef.com's Interactive Law of Cosines Triangle -- Drag any point of the triangle and watch as the values adjust in the right-hand corner based on the Law of Cosines. An example with a step-by-step explanation and additional tutorial information is provided. AJDesigner.com's Law of Cosines – Quick and easy to use, just enter the known side lengths to find the unknown angle. Along with Sine and Cosine, tangent is the other primary trigonometric function. As Wikipedia.org explains, it can be used “where two sides and the included angle, or two angles and a side, are known.” The tools below operate based on the Law of Tangents. RapidTables.com's Tangent – Follow the instructions provided to find tan(x). Results can be presented in degrees or radians. Math.com's Tangent – Quick and easy to use, solve for the tangent angle by entering the opposite and adjacent angle. MathOpenRef.com's Interactive Tangent Triangle – Learn more about the tangent function by dragging the points of the triangle and watching as the tangents are re-calculated. An example with an explanation and detailed tutorial information are also provided. TutorVista.com's Tangent – Detailed tutorial information and a step-by-step example are provided to help you strengthen your understanding of the tangent function. EndMemo.com's Cotangent – Quick and easy to use, find the cotangent by entering the known value. A graphic representation of cotangent is also provided. AJDesigner.com's Cotangent – Solve the cotangent of your angle by entering the known value. Results are provided in radians and degrees. CalcTool.org's Cotangent, Secant, and Cosecant – Enter the known angle and the cotangent, secant, and cosecant will be provided. Along with cotangent, secant and cosecant are infrequently used trigonometric functions. In a right triangle, secant is defined by MathOpenRef.com as “the length of the hypotenuse divided by the length of the adjacent side.” While the site defines cosecant as “the length of the hypotenuse divided by the length of the opposite side” in a right triangle. Use the resources below to solve for secant and cosecant. AJDesigner.com's Secant – Easy to use and solves for the secant of angle. Results are provided in radians and degrees. AJDesigner.com's Cosecant – A great tool for finding the cosecant of an angle. Results are provided in radians and degrees. Use these resources to solve for the six trigonometric functions—sine, cosine, tangent, cotangent, secant and cosecant. EasyCalculation.com's Trigonometry Functions – Use the drop down menu to select which trigonometric function of the six most common you'll be solving for. Then, enter your value. CalculatorSoup.com's Trigonometric Functions – Choose the trigonometric function you need to solve for and then enter your known value. A graph diagram is provided as a visual representation of each function. This version calculates the functions in terms of radians. Keisan.Casio.com's Trigonometric Functions – Enter the known angle in radians and then use the drop down menu to choose the function you'd like to find. A labeled triangle diagram is provided as a visual aid. TutorVista.com's Trignometric Functions – Use the provided step-by-step examples to learn more about how to work with the trigonometric functions. PlanetCalc.com's Trignometric Functions – Tutorial information is provided to help you better understand each function. Enter the known angle and the results for each function will be provided. RapidTables.com's Trignometric Functions – Follow the provided instructions. Information on each function is also provided. SolveMyMath.com's Trigonometric Functions – Select whether you'd like your results in degrees or radians. Then, use the drop down menu to choose the function you'll be solving. EasyCalculation.com's Inverse Trigonometric Functions Grapher – Learn more about how inverse trig functions are represented on a graph by selecting an inverse function from the drop down menu. Coordinates and a graph of the inverse function will be provided. CalculatorSoup.com's Inverse Trigonometric Functions – Use the drop down menu to select the inverse trigonometric value that you'd like to find. For more information, see the inverse trigonometric functions graph. Keisan.Casio.com's Inverse Trigonometric Functions – Quick and easy to use, select the inverse trig function you'd like to find. Results are provided in degrees. RapidTables.com's Inverse Trigonometric Functions – Use the tutorial information and table of values provided to learn about the inverse functions of sine, cosine, and tangent. GyPlan.com's Inverse Trigonometric Functions – Choose the inverse function you'd like to find using the drop down menu. Results are provided in radians and degrees. MathOpenRef.com's Interactive Inverse Functions Triangles – The site offers three interactive triangles to help you learn more about the inverse functions of sine, cosine, and tangent. Each features tutorial information, examples, and a “Things to Try” section. AJDesigner.com's Inverse Trigonometric Functions – These are quick and easy-to-use resources for finding the inverse functions of sine, cosine, and tangent. RKM.com.au's Inverse Trigonometric Functions – Find arcsin, arccos, or arctan when you know sine, cosine, and tangent, respectively. Results are provided in degrees and radians. EndMemo.com's Inverse Trigonometric Functions – Quick and easy-to-use resources for finding arcsin, arccos, and arctan. Scroll down to view an example graph for each inverse function. 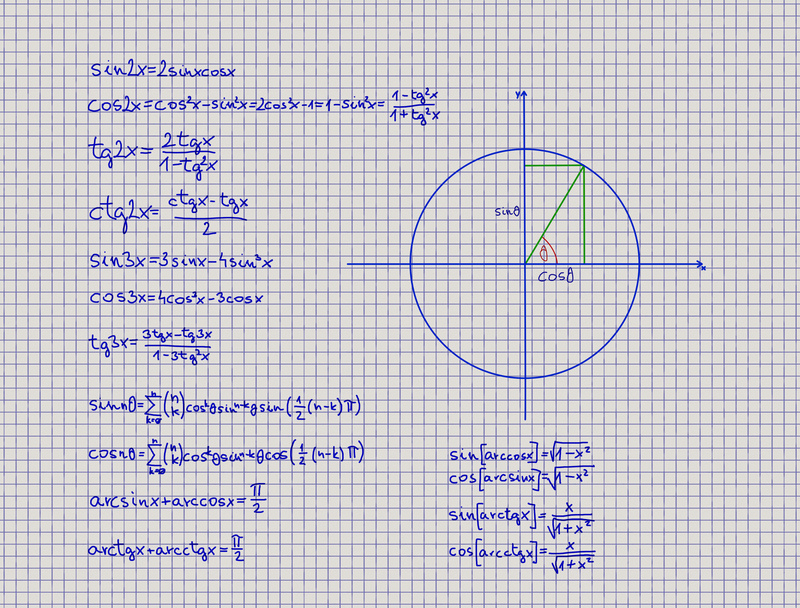 TutorVista.com's Inverse Trig Functions – Find the inverse functions in degrees and radians. To improve your understanding of the concept, follow the step-by-step example problems. CleaveBooks.co.uk's Angle Converter – Enter your angle in degrees to have it converted to radians and other units. If you have problems, follow the provided instructions. UnitConversion.org's Degrees to Radians Conversion – Quick and easy to use, enter your angle in degrees or radians and the other unit will be provided instantly. CalculatorSoup.com's Angle Conversion – Learn more about how angular conversions work by reading the detailed tutorial information provided. Use the drop down menus to select the kind of conversion you'd like to perform. University of Texas's Angular Conversion – Provided by the University of Texas's Bureau of Economic Geology and quick and easy to use. Convert degrees to radians and vice versa. ConvertUnits.com's Degree to Radian Conversion – Converting degrees to radians and radians to degrees is quick and easy. Learn more about conversion from the tutorial information and definitions section. CalcuNation.com's Degrees to Radians Conversion – Follow the provided formula and example to better understand how to convert degrees to radians. Mathinary.com's Degrees and Radians – Quick and easy to use, learn more about converting radians and degrees and its practical application from the provided tutorial information. MathPortal.org's Degrees to Radians Converter – Convert degrees to radians and vice versa. A step-by-step explanation is provided with your results. CalculatorPro.com's Degrees to Radians – This converter is quick and easy to use. UnitJuggler.com's Degrees and Radians Converter – Choose which conversion you need to make and enter your values. Results are clear and easy to understand. Had2Know.com's Degrees/Radians – Learn more about how to convert degrees and radians from the detail tutorial information and circle chart. MattDoyle.net's Radians and Degrees – There are no bells and whistles with this converter. It is quick and easy to use. Select which conversion you need to make and enter your values. TranslatorsCafe.com's Units Converter – Quick and easy to use, select the conversion you need to make and enter your values. Your results will be shown instantly. TutorVista.com's Radians to Degrees – Use the step-by-step examples to learn more about making these conversions. PlanetCalc.com's Degrees to Radians – Quick and easy to use, enter your angle in degrees and the conversion to radians will be provided for you. WolframAlpha.com's Degrees & Radians – Select which conversion you need to make. When converting from radians to degrees, a visual representation of your angle inside a circle will be provided. 1728.org's Angular Size – Use to solve for angle, distance or size. Angles are presented in degrees, minutes, or seconds. It includes a tutorial on angular size and examples of real world uses, such as measurements in astronomy. VistualTrig.com's Angle – Enter either the top angle value or the base length and the triangle will adjust accordingly. Or use the slider to adjust the triangle's top angle to see how its other angles adjust. TutorVista.com's Unit Circle – Use the provided step-by-step examples and labeled diagram to familiarize yourself with working with a unit circle. MathIsFun.com's Interactive Unit Circle – Drag your cursor around the unit circle to see how the sine, cosine, and tangent values adjust on the graph. AnalyzeMath.com's Unit Circle Applet – Choose a function, either sine, cosine, or tangent. Then, watch how the unit circle corresponds to the drawn graph. SymboLab.com's Trigonmetric Identities Solver – Cleanly designed and easy to use, this resource provides step-by-step explanations for how to verify trigonometric identities. TutorVista.com's Trigonometric Identities Solver – Follow the step-by-step instructions and examples to improve your knowledge of trig identities. Sum-to-Product and Product-to-Sum identities can be performed. EasyCalculation.com's Solving Pythagorean Identities – Enter your angle then follow the step-by-step results to see how/why the identity is proven. EasyCalculation.com's Angle-Difference Identities – Learn more about subtracting trigonometric functions. Each (except for cotangent) features the needed formula and a diagram. EasyCalculation.com's Double-Angle Identity Solver – Learn how to use the double-angle identity for sine, cosine, and tangent. The functions' respective formulas are provided. MeraCalculator.com's Double-Angle Identity – An explanation of the double-angle identity formula and an example problem are provided. MathWords.com offers the half-angle identities formulas. Below is a collection of half-angle identities solvers. MeraCalculator.com's Half-Angle Identity – Tutorial information explaining when to use the half-angle formula and the formulas for sine, cosine, and tangent are provided. EasyCalculation.com's Cotangent Half-Angle – Use the formula and diagram provided to learn more about finding the half angle of cotangent based on your known angle value. EasyCalculation.com's Half-Angle of Cosine – A labeled diagram and cosine half angle formula are provided. EasyCalculation.com's Sum to Product Identities – The site presents these quick and easy-to-use resources for working with the Sum to Product Identities. MathCelebrity.com's Sum to Product and Product to Sum Formulas – Enter the sum to product or product to sum identity you'd like to simplify. The results include a step-by-step explanation of how to do so. EasyCalculation.com's Product to Sum Identities – A quick and easy way to “rewrite and evaluate products of sine and/or cosines as sums.” The needed formulas are provided. Eguruchela.com's Product to Sum Identities – No bells and whistles, a quick resource for working with product to sum identities. Chegg.com explains power reduction formulas. Learn more about working with them using the resources below. EasyCalculation.com's Power Reduction – Familiarize yourself with working with the power reduction formulas, which are provided as a reference. MeraCalculator.com's Power Reduction Identity – Learn more about working with the power reduction identity using the provided tutorial information. Eguruchela.com's Power Reduction Identities – A straightforward, easy-to-use resource for working with the power reduction identities. EasyCalculation.com's Trigonometric Equations – Quick and easy-to-use, enter your angle and whole number to find x. The needed formulas are provided as a reference. Symbolab.com's Trigonometric Equations – Cleanly designed and easy to use, enter your own equation or work with one of the examples to get a step-by-step explanation of how to solve the equation. The equation is also shown on a graph. MathPortal.org's Trigonometric Equation Solver – Learn more about trig equations via the step-by-step examples. WebMath.com's Simplify a Trigonometric Expression – Enter your expression. This resource will use the trig identities to simplify it. A step-by-step explanation is provided. NumberEmpire.com's Equation Solver – Use “Example 2” to learn more about solving trigonometric equations. A variety of other equations can also be solved. MathIsFun.com's Vector – Enter vectors as magnitude and angle or as x,y coordinates and see how they interact on the graph. MathPortal.org's Vector – Input your vector coordinates in 2D or 3D and then select the operation you'd like to perform. Check the “Show me an explanation” box to see step by step how the result was found. 1728.org's Vector Addition – A quick and easy-to-use resource for adding up to 10 vectors. Tutorial information and a diagram are also provided. OnlineMSchool.com's Vector – Find the length, magnitude or norm of a vector. A step-by-step explanation is provided with the results. OnlineMSchool.com's Adding and Subtracting Vectors – Brief tutorial information on how to add and subtract vectors is provided. A step-by-step explanation is included with the results. WolframAlpha.com's Vector Magnitude – Enter the vector end point. The magnitude along with a vector plot and other information are provided with results. Symbolab.com's Vector – Enter your own vector operation or function or use one of the examples to learn more about vectors. A step-by-step explanation is provided with the results. EasyCalculation.com's Vector Operations – Quick and easy to use, these resources help you add and subtract vectors. NCalculators.com's Vector – Use the tutorial information provided to learn more about these vector concepts. TutorVista.com's Vector Operations – Use the example problems and step-by-step explanations to learn more about adding and subtracting vectors. CalcTool.org's Vector Operations – Quick and easy to use, a vector diagram is included. Instructions on how to subtract vectors using the tool are also included.